Science is one of my favorite activities to teach. This surprises me because as a child, science and I did not play nicely. I always felt one step behind or, sadly, just bored. For as much as there are some who don’t like the Common Core as it is applied in public education, I personally find much value in these curriculum standards as a teacher. I feel that they set a precedence in classrooms that helps bring learning away from worksheets and into hands-on learning. One of my favorite science experiments to conduct with my students (and theirs as well!!) is to make lava lamps. They are really simple to make and are a great way to get kids excited about science! Here’s how to make your own kid-approved lava lamp in 3 groovy steps. Use senses to make and record observations and interpretations of data. Identify properties of solids, liquids, and gases. Investigate and record changes to the properties of matter. Investigate and record the interactions between liquids, solids, and gases. Practice measuring and calculating math with metric units (HUGE concept for 3rd graders!). Conduct “next steps” experiments. In other words, what else could you do to this experiment to possibly change the outcome? Have children record their hypotheses and outcomes/data. (Suggested Next Step: Use a glow stick instead of food coloring. Crack the glow stick, cut off the top, and empty the gel into the water bottle). 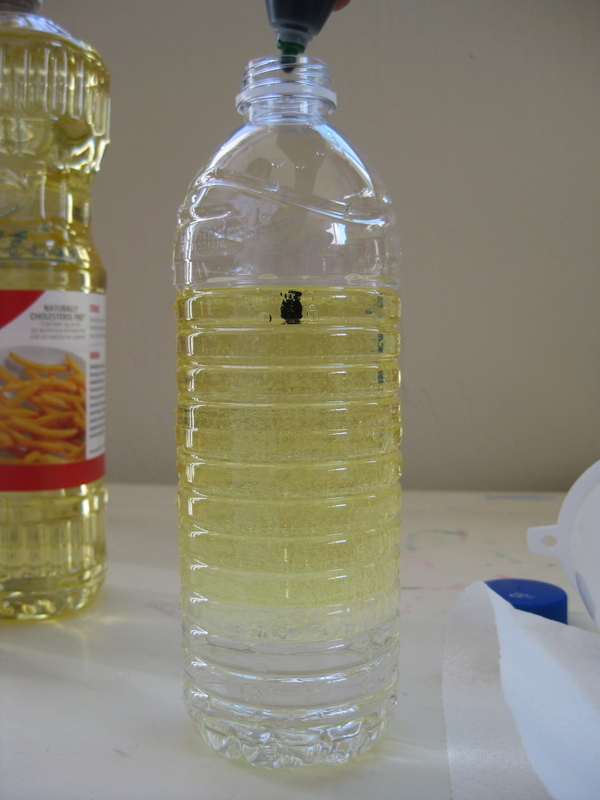 Fill your empty bottle or jar about 1/2-2/3 of the way with the cooking oil and the rest of the way with water. BE SURE to leave about an inch of air at the top. Image. Add 10 drops of food coloring. Warning: May require some patience as the food coloring makes its way through the oil and water. Image. Break the Alka-Seltzer tablet(s) into quarters or halves. We like to “go big” in my classroom so we go with half a tablet at once. Then just watch and be dazzled! The food coloring will start “erupting” all sorts of grooviness in your bottle! Kids have so much fun watching the the food coloring as it bubbles and moves. As soon as the Alka-Seltzer has dissolved, you can add more or more for as long as you’d like. Image. This is just 6 pages of ads….where’s the groovy lava lamp steps? Something weird is happening to our formatting. I am so sorry. I will have it fixed within the hour.